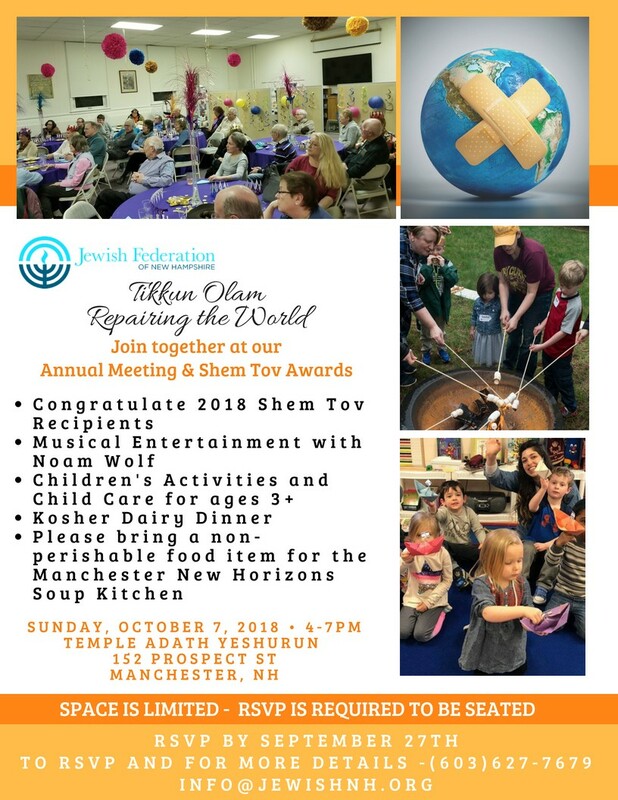 Join us at our Annual Meeting & Shem Tov Awards 2018! Our theme this year is Tikkun Olam - Repairing the World. Please bring a non-perishable food item for the Manchester New Horizons Soup Kitchen.